Good morning from the seaport Hamburg and welcome. The JPY extended its gains versus its major counterparts and Canada delivers positive data of their economic recovery. Anyway, we wish you much success for today. The JPY repeated its rally from yesterday and rose again versus all of its 16 major counterparts. The EUR dropped to 132.08 against the JPY before reports will show today, that the manufacturing of the U.K. slowed and the confidence among Japanese merchants declined last month. The JPY rose to 88.96 per USD. Furthermore the AUD could stop its bearish trend and gained versus the USD. The AUD reached 0.9154 after Federal Reserve Chairman Ben S. Bernanke remarks dashed speculation for an early increase in the U.S. rates. The NZD climbed to 0.7160 against the USD. In Canada showed a government report that building permits rose about 18% in October. Also the nation’s statistics agency said that the economy added 79,100 jobs. These were five times more than economists expected. The Bank of Canada sent a signal that they are willing to keep the interest rate unchanged. The CAD rose for a second day against the USD and reached 1.0488 from 1.0513 yesterday. Since the middle of November, the EUR has been trading in a bullish trend against the NZD. 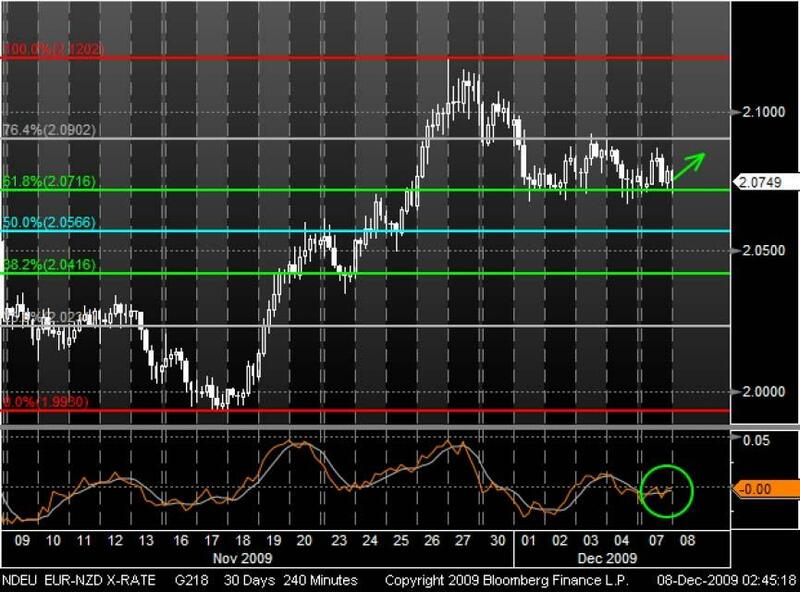 With the beginning of December, the currency pair weakened to its Fibonacci retracement line at 2.0716 (61.8%) and the prices could recover like many times before. Also a crossing Momentum through the signal line from below may indicate a continuing bullish trend. But it remains to be seen, if the support is strong enough for the EUR. With the beginning of December, the EUR dropped to its one month low versus the CAD. 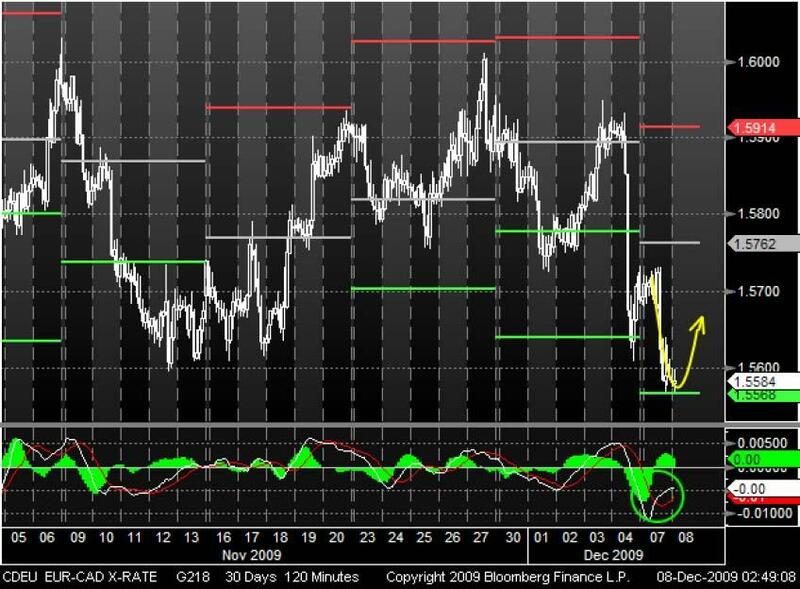 Currently, the currency pair touched its Pivot point at 1.5568 and it seems that the EUR may recover at its support as recently before. Furthermore could support the MA Oscillator with a breakthrough of the signal line from below a pull back for the EUR.